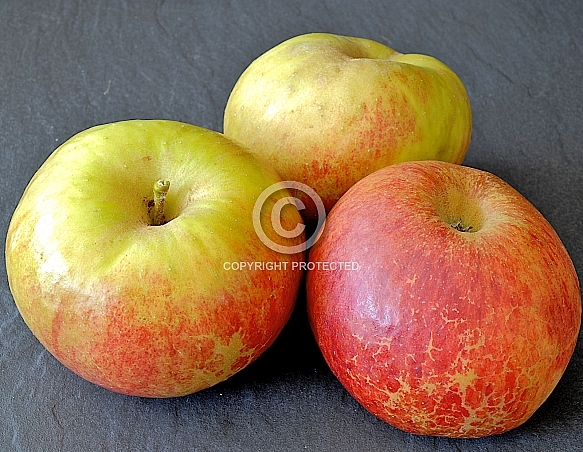 Description: An older 'heritage' apple variety of uncertain origins. Mid-season cropping. A bright red flush overlays the base yellow-green skin colour. Sweet flavoured, delicate flesh.